The products below have been designed to positively impact the health of your eyes. These natural and authentic products have all been put to the test with appropriatte trials and studies to back up their usefulness and impact. If you are after safe and effective natural eye health products then please read further. Can-C eye drops provide an alternative treatment to cataracts surgery. Human trials have shown good results in a matter of months. Eye conditions such as Cataracts, Glaucoma, Presbyopia, Corneal disroders, Retinal diseases and more have shown great results. Visoluten is a peptide bioregulator specifically harnessed to boost and protect eyesight and retinal function. Helps repair damage to the retina thereby stimulating regeneration and healing. 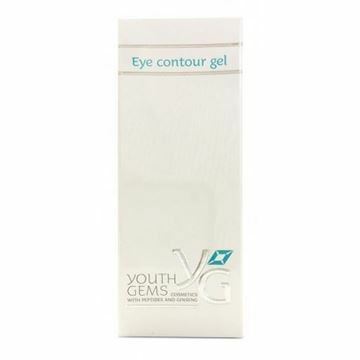 This topical peptide based gel is designed to reduce the signs of skin aging around the eye. It nourishes and soothes the skin thereby helping to reduce puffy eyelids and increase the skin elasticity. Helps to repair damage to the RETINA which is often caused by diseases such as diabetic retinopathy, pigment retinitis, myopia and age-related macular degeneration. It can also be damaged by hypertension, renal insufficiency and diabetes melitus together with smoking and alcohol. In treating the retina it is particularly synergistic with Vladonix, Ventfort, Endoluten and Cerluten.